September | 2011 | BRING. CHANGE. SHARE. Parents & Jr. Highers! The Jr. High Journey deadline is THIS Sunday, September 26th. If you haven’t filled out a form, you can pick one up outside the Chapel on Sunday morning in the “Jr. High Events” slot. Turn it in to the lockbox in the back of the Chapel. This past Sunday in The Vine, we learned that when it comes to growing our faith, doing, not knowing, is what makes the difference. During his lesson, Nick said, “Unapplied Scripture is like unapplied paint. You can have all the materials to pain a mural–paint, canvas, ability, paintbrush, etc., but unless you apply it–it’s pretty pointless.” When we read the Word, know the Word, but don’t apply it to our lives, what’s the point? We then read 1 Timothy 4:12 (NLT), “Don’t let anyone think less of you because you are young. 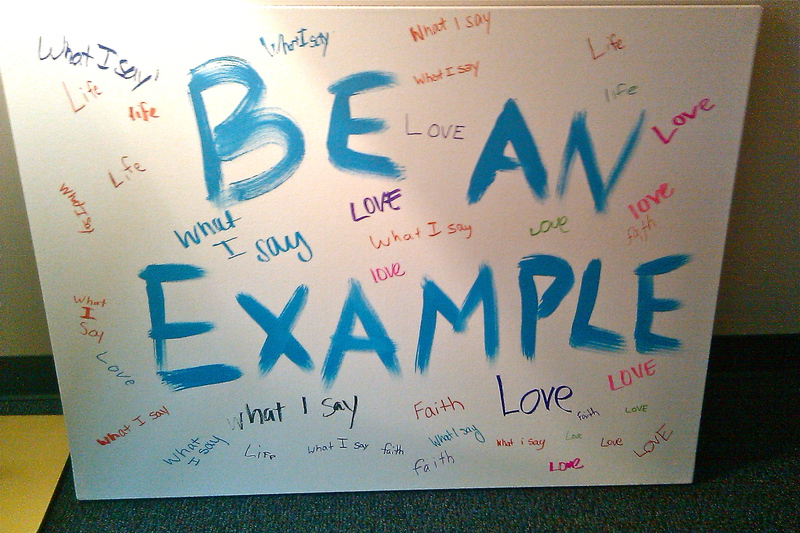 Be an example to all believers in what you say, in the way you live, in your love, your faith, and your purity.” As they looked forward, they saw empty paint cans spread throughout the room, each with a title on it: what you say, way you live, love, faith, & purity. Every can had different Scriptures inside that directly applied to those areas of our lives. Students had the opportunity to “apply some Scripture,” and after reflection and prayer, they came up and chose a verse out of the can and then wrote what area of their life they needed to “apply some paint” by writing that word on the canvas. God wants us to be an example in EVERY area of our lives. So students, what Scripture did you memorize this week? And how have you applied it so far? Leave comments and let the conversation begin! THE MIX: Tonight, September 7th! 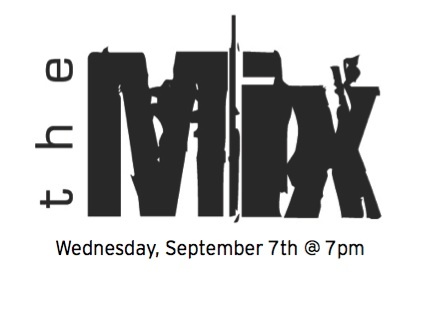 Come on out for theMIX tonight as we start out our school year learning what it REALLY means to GROW UP! We’ll be in the Chapel @ 7pm. Oh, and make sure your bring your Bible… and legos. Yep, seriously!